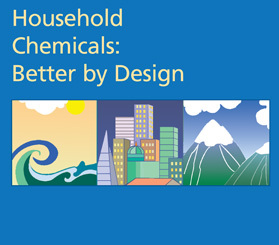 Household Chemicals: Better by Design is a SEPUP module designed for use in grades 6–12. The module contains a series of 11 activities that provide approximately 4–5 weeks of instruction. This module focuses on reactants, products, and indicators of chemical reactions. Chemicals are used by industries to make products. These products are advertised using strategies designed to create consumer demand. Can we believe the claims of the manufacturer? How should the product be used safely? Students explore their knowledge of, and attitudes toward, chemicals and chemical use. They use chemicals to produce a common household product (i.e. cleaners, food products, and toys). They test their product in various ways, and come "full circle" by creating ads for their products, which are examined for accuracy and appropriateness. Students are assessed on their ability to design and conduct investigations. Each module includes a Teacher’s Guide containing reproducible student pages and a kit containing the equipment required to conduct the activities with five classes of 32 students. The Teacher’s Guide provides specific strategies to facilitate and assess student learning. Shown below is the table of contents for the teacher’s guide, which contains reproducible student pages. Student Investigation: How Should I Bleach My Jeans? Student Investigation: How Do You Use Chemicals? Student Investigation: Does Your Product Pass the Test?